One Team US, LLC is an industry leader in mobile application and website development. One Team has an experienced team of dedicated smartphone developers that work on both native and web applications. We create both native and cross platform apps for iPhone 3G, 4, 4S and 5. 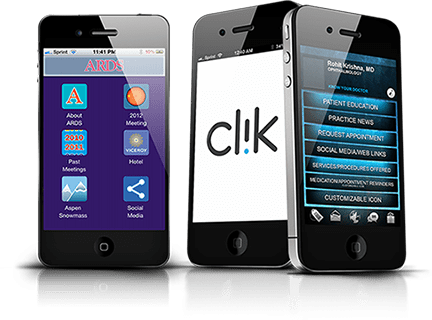 We are a provider of custom mobile application development services and can port existing applications or develop them from scratch. Our unique combination of skills and experience makes us the ideal choice to develop your smartphone application and bring your ideas to life. We possess design and technical expertise needed to develop a wide range of highly optimized iPhone applications. We have a strong team with highly experienced designers and coders. Please take a moment to review selected items from our portfolio. We welcome the opportunity to earn your business and further elucidate our capabilities. When choosing a company for your projects, we recognize your desire to find someone reliable with considerable experience and yet offer a reasonable cost. We also help you navigate the confusing world of licensing for all the App stores. Our portfolio is diverse and we will consider development or joint projects. One Team has been developed more than 60 apps for iPhone alone. We are in the business since the iPhone device & Apps legacy started. Good Knowledge in iPhone Developer Program Portal. Expert in developing Rich user interfaces. Knowledge in iPhone testing and optimization tools. Knowledge in testing and debugging iPhone applications. Hands-on experience in packaging and deploying iPhone applications. Good experience in AppStore submission process. Proficient in iPhone Business Model. Mac OS X, Objective C ,iPhone Software Development Kit (SDK) , Cocoa Touch , Xcode IDE , Interface Builder , Instruments , Shark, OpenGL ES , Open AL , Quartz 2D , Core Animation , Core Location Frameworks and Map Kit API. Audio/Video Foundation Framework , CFNetwork Programming , Camera and photo library. Accelerometer , Game Kit , Push notification. Well versed in iPhone SDK, Cocoa Touch / Objective C, Xcode IDE, Interface Builder, OpenGL, WebKit Programming, Accelerometer, GPS and Core Location Framework. Our development team ensures that we understand your application in detail not just from technical perspective, but also appreciate the business end of it, thus delivering a winning iPhone app. We unique combination of technical expertise, result oriented management, functional knowledge base and extensive experience. We are proud to have worked from simple app to a complicated iPhone Application.